Glad to hear you’re home and safe! Stunning card Nancy! Beautiful! Oh Nancy this is drop dead gorgeous. What a fabulous idea to layer those beautiful flowers! Love how you have added those white specks to make this cards finish just perfect, Loooooooooove it! Hi my friend! Thanks it’s perfect for you! Hope all is well! LOVE everything about this….the color, the embossing, the wonky placement of the rectangles, the speckles–approved and not approved lol LOVE this!!!!! Gorgeous card with those beautiful colors and awesome layout! Nancy, this is one of the most beautiful and unique cards I have ever seen. Such an unusual idea to layer these panels this way. Love the extra splatters, they are very becoming to your card. Eggplant works very well with the white, great combo. This has to be my favorite card of yours, Nancy. The eggplant is so elegant with the white embossing – and splatters. Adding the layers makes it unique and artsy. And this is such a fabulous creation too!! Love it, love it, love it!! 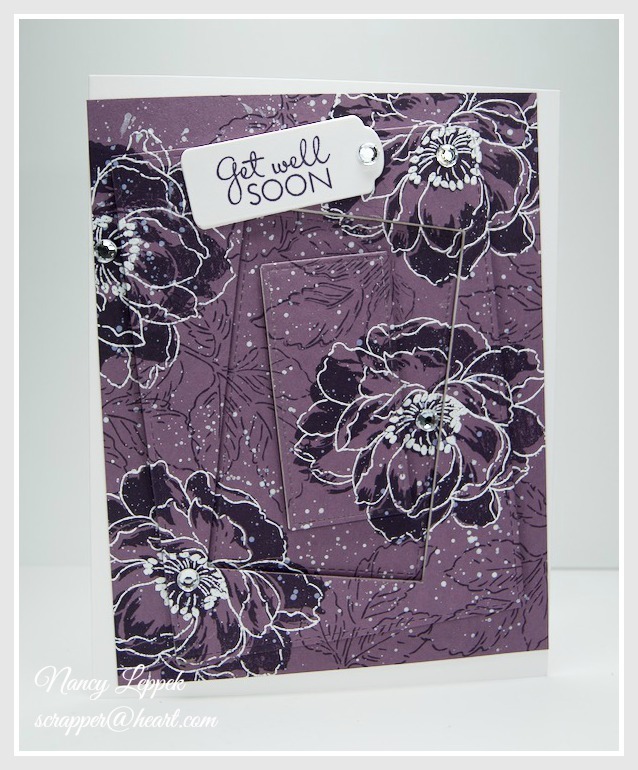 I love the gorgeous purple, I love the repeat stamping, I love the slanted rectangle die cuts, love the splatters..imagine, those were a mistake to begin with!! Thanks for your kind words! 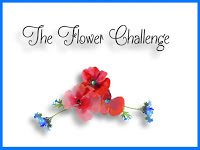 Best of luck with the challenge! Although, I do believe it’s going to be a huge success! Well Nancy, you took the Triple Time Stamping to a whole new level with this beautiful card!!! I love how you took your “mistake” and ran away with it creating more pretty white specks. Beautiful layout and details on your awesome card.